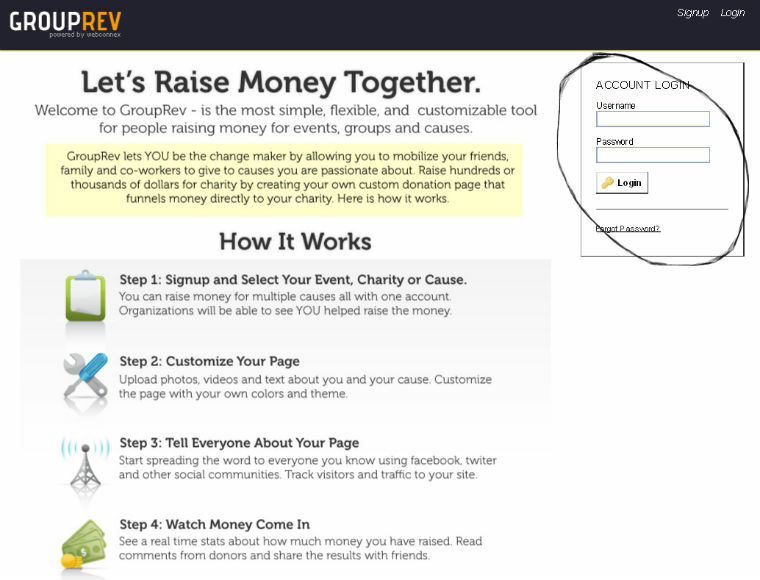 Your personal HopeRaiser page is hosted by GroupRev (our partner for online fundraising). Please visit https://www.grouprev.com to login to your fundraising page. The login page will display similar to the image, below. Enter your Username and Password in the top right-hand corner to login.